Announcement We will be out of office til April 8. We will check messages & get back as soon as we can. Orders placed may be delayed. Please allow 24 hours for a reply to messages or convos. We answer convos and emails during regular business hours 8am to 5pm Monday through Friday except holidays.. Thank you for shopping with us! We will be out of office til April 8. We will check messages & get back as soon as we can. Orders placed may be delayed. I received my order and in a timely manner and the decal is great as far as color and size. Only issue I had was decal was missing one little piece around inside. I contacted the seller and was advised a replacement would be sent. I have yet to receive it. 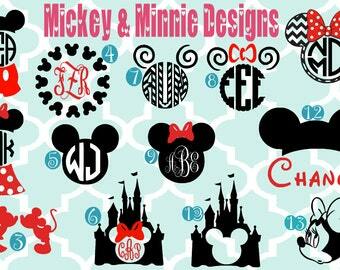 Lots of colors and monogram fonts! Great colors and these bags are good for light and easy for use. Love this black quarter zip with hot pink monogram! Welcome to I Luv Monograms, I'm Amanda. I am a lover of my family (husband & 3 kids), our pets (2 dogs, 2 cats, 1 chinchilla & 2 fish), embroidering, natural light, pretty colors, creating things, acts of kindness, DIY projects, decorating, Spring & Summer, shopping, taking pictures, being active, traveling, coffee, laughing, Amazon, party planning, clothes & candles! Oh, and monograms. I. Really. Really LUV. Monograms. Hence my shop name! We live in a world where customer services seems to have fallen wayside. Fortunately for you, customer service is our number one priority. We put you first and your satisfaction is our ultimate goal. We also offer super fast turn-around time because if you're like me, Amazon Prime has you spoiled. Please be sure to message me if you have any questions or concerns - I'll be sure to get back to you ASAP! Our goal is to ensure 100% satisfaction. However, due to the personalized nature of our products, we will NOT refund. If there is an error on our end, we will be happy to correct it & send you a replacement, please let us know as soon as possible. You may cancel your order within 24 hours for a full refund. After that time, your unique item will be created and full refunds will not be available. All in stock items will ship 3-5 business days & likely sooner. Items ship via USPS & typically come with tracking information. If you need a rush or overnight item, message us & we will make a custom listing for you! If you are ordering in large quantity, the processing may take a little longer 3-5 business days. Purchases of the fragile nature will be wrapped in bubble wrap to keep them very secure. Unfortunately we can not control what happen in transit. If you package arrivals broken or damaged, please let us know asap. We will replace free of charge. We specialize in custom group orders for teams, families, bridal parties, sororities, and church groups. We will work with you through the process and large orders may qualify for available discounts too.